We recently welcomed two guests from Ireland at African Relish. It was wonderful to show them a true, heart warming summer Karoo welcome. After a wholesome breakfast the day begins with a tour of Prince Albert town. This included a cheese tasting at Gay’s dairy , an easy way to show guests the local produce we so enjoy. Next we went to the good doctor’s garden for the harvest of the day. 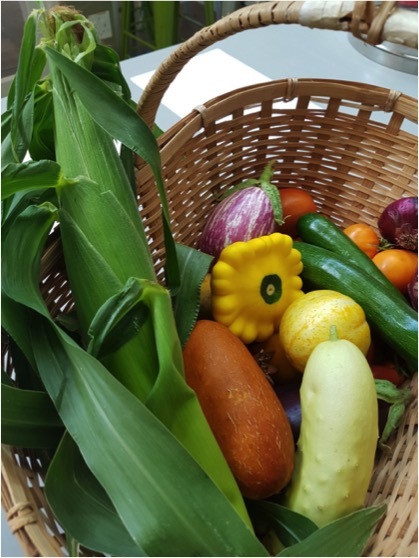 These fresh organic vegetables were to be included in the cooking class. 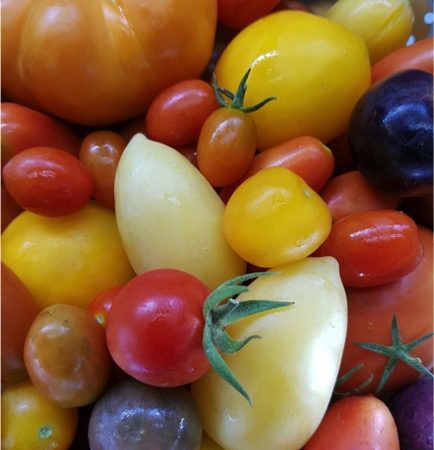 We picked a multitude of different tomatoes, aubergines, cucumbers, baby marrows and baby sweet corn. 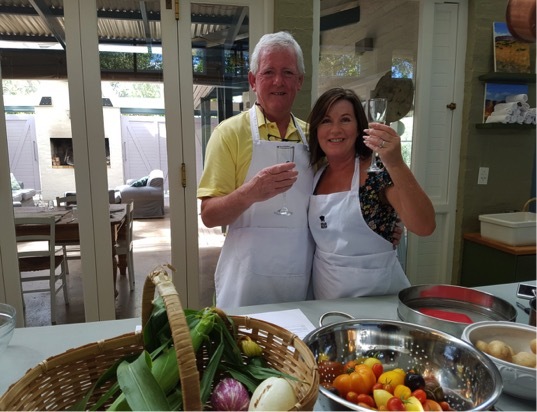 Our Irish guests celebrated their honeymoon in South Africa, travelling the country to experience local hospitality; meet a diversity of people and taste the exceptional produce. As a chef I spent four of my formative years as chef in Ireland and we had loads to chat about. After the Karoo Classics cooking session in the kitchen our guests were planning ideas for the kitchen back home. The biggest compliment came from Marie who ate lamb for the first time and absolutely loved it. We hope to see you in our kitchen this summer for a cooking course.